Doctors are 2.5 times more likely to commit suicide than the general population, while physician burnout is a leading cause of medical error, according to the South African Society of Psychiatrists (SASOP). Medical professionals are at higher risk of burnout and suicide than the general population, yet also less likely to seek help. 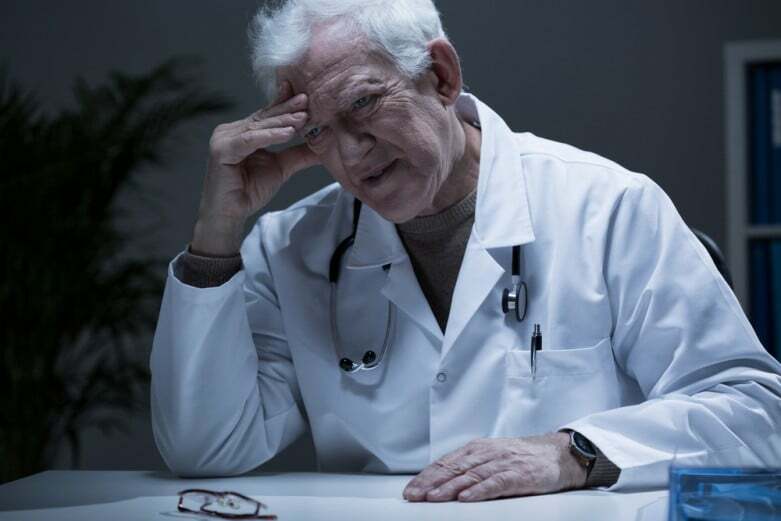 Faced with South Africa’s chronic shortage of doctors and specialists, the country’s stressed and overloaded medical professionals are at greater risk of burnout that puts both themselves and their patients in danger, past president of the South African Society of Psychiatrists (SASOP) Prof Bernard Janse van Rensburg said. Suicides of prominent medical professionals and university students in the past year have turned the spotlight on mental wellness and the need to remove the stigma from mental health conditions, particularly amongst medical professionals themselves, he said. Prof Janse van Rensburg said awareness needs to start at student level, calling for medical education to “put more emphasis on doctors realising their limitations and recognising their humanity and fallibility”. Janse van Rensburg said burnout was not a medical diagnosis in itself but was a combination of conditions such as stress, anxiety and depression, signalled by emotional exhaustion, detachment or lack of empathy with patients, and a reduced sense of job satisfaction or professional achievement. Burnout can lead to errors of judgment and it affects doctors’ prescribing habits, test ordering and overall professional behaviour. It is also a risk factor for injury and other mental and physical health conditions. “Doctors and other medical professionals who are highly critical of others and themselves tend to blame themselves for their own illnesses, and are more at risk of major depression and other mental disorders that can lead to suicide. “They tend to be reluctant to approach their professional colleagues for help and rather ‘self-medicate’ for symptoms such as anxiety or insomnia. They also slip into risky coping mechanisms such as alcohol and drugs, and isolate themselves from those who could support them – family, friends and their professional community,” Prof Janse van Rensburg said. He said doctors needed to be self-aware and vigilant on their own vulnerabilities and possibly risky coping mechanisms, and not “suffer in silence”, referring to the self-administered Maslach Burnout Inventory questionnaire as a simple means for practitioners to check in on their own health. “Those in the medical profession need to know that a mental health condition not dealt with is more likely in the long run to negatively affect their practice and professional reputation, and that it’s best to rather ask for help early in their career,” he said. Prof Janse van Rensburg said there was also a responsibility at an organisational level for management in the healthcare system to acknowledge the existence of the problem, to develop targeted interventions and to promote resilience and self-care. “Leaders and managers of medical teams should also show that they are open to feedback, respect the opinions of others, including less-experienced colleagues, and to empower team members to do their work and advance in their careers,” he said.